This made me lol. Dr. Whoa is Jon Rosenburg's take on Dr. Who. And let's just say, some of the implied creepiness of the Dr is much less implied. Scenes from a multiverse is pretty funny. The Dr. Whoa line of comics is top notch. 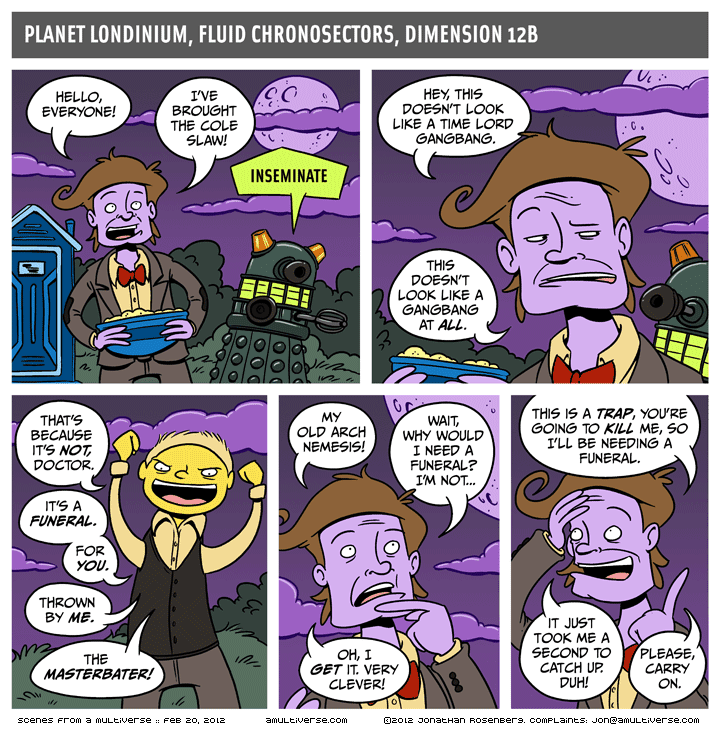 The Dalek yelling Inseminate cracked me up the most.